Exeter-Milligan ninth grader Deidre Stevens has a big weekend ahead of her. 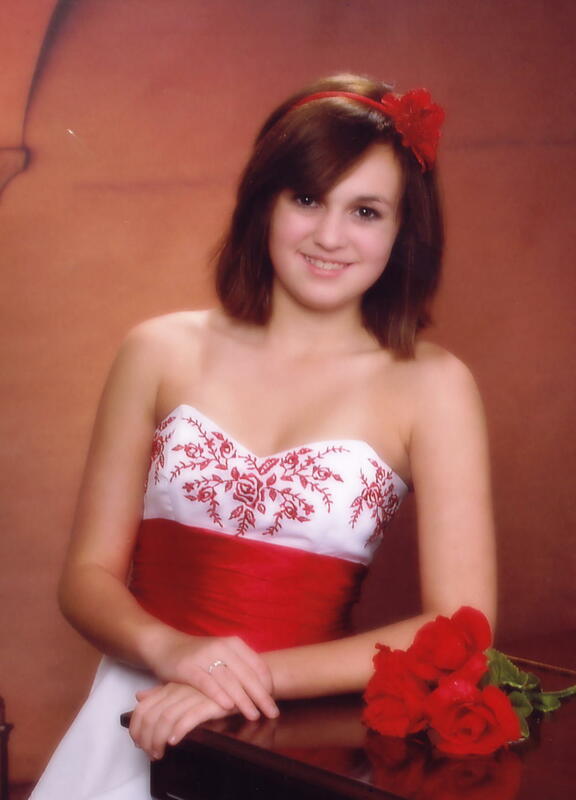 The fourteen year old will be competing in the 2011 Miss Teen Nebraska Pageant in Lincoln October 22 - 24. The process began this spring when Stevens submitted her application and photo. She had applied as a seventh grader but didn’t take the process seriously. This year after the phone interview, Stevens was selected. As the only candidate from Fillmore County, Stevens chose the title of Miss Fillmore County from the three titles she was offered. After collecting and submitting $900 in sponsorship money from local businesses and family members, Stevens and her mother, Hope Androyna, have been busy shopping for all the required wardrobe pieces and paraphernalia. Stevens will compete in three categories at the weekend pageant, swimsuit (as she is under 16 it will be a one piece), interview and formal gown. The idea of competing “always appealed to me. I had always seen the Miss USA pageants on TV and wondered what it takes to get into this stuff,” said Stevens. The pair have been practicing the interview portion of the competition. Stevens recognizes that the competition is "Helping me become me and a better person." Starting on Friday, the girls will meet each other and have a banquet with their sponsors and parents. After that “no parents, they want the girls to be on their own,” said Androyna. The weekend continues with all of the contestants participating in the swimsuit and evening gown competition and then that evening they will be interviewed privately. They will also practice a dance routine that all of the contestants will present on Sunday. On Sunday the top eight contestants are announced and they will start over on points in all of the categories. They will each do the swimsuit and evening gown presentations and then do their interview on stage. This pageant will take place at the same time as the Miss Nebraska pageant as both are a Vanbros production. In addition to her pageant activities Stevens is active in the community as a junior auxiliary member, and at Exeter-Milligan she is a Cheerleader, a member of the one-act cast, the FCCLA historian, a member of the band, and on the golf team.